Pleated skirts embody spring. Any way you fold it-accordian, knife or box-they add volume and sophistication to your wardrobe. They look perfect with casually tucked blouse or sweater. Pleated skirts are also great to combine with sneakers and sweaters, light silk shirts and feminine cardigans. 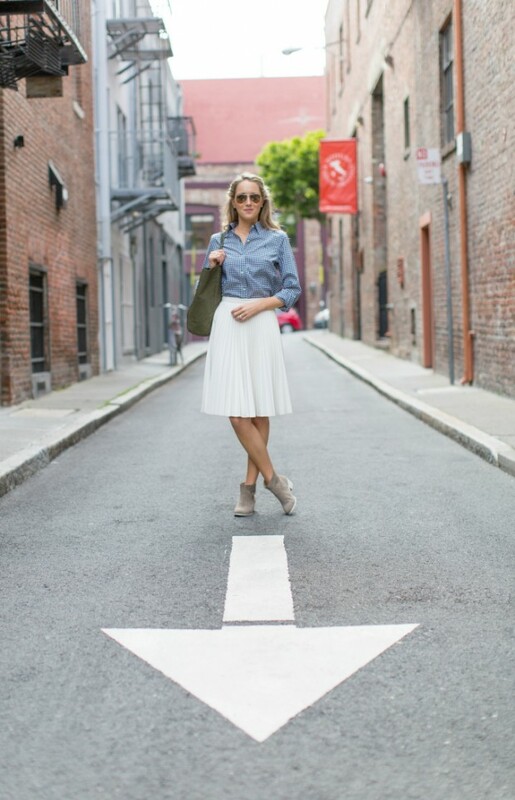 If you want to create work outfit then combine midi pleated skirt with button down shirt. 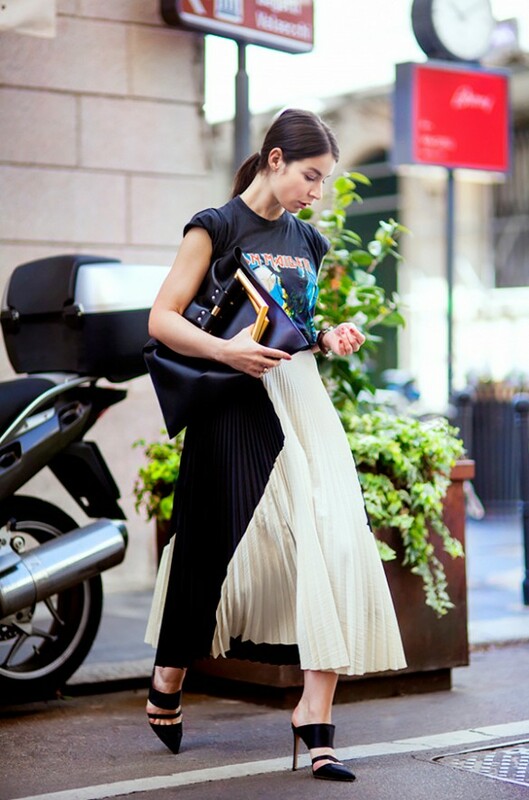 Pleated skirts make any woman look feminine & chic. Take a look at the following ideas and get inspiration for your next outfit with pleated skirt.